This past weekend was an emotionally tough one for me while at the same time being a pretty decent one. I know, that doesn’t make sense to me either. I suppose it would be more clear if I were to say that my weekend had some highs and lows but for the most part, I felt more stable than not. Of course, Mister Soandso disagreed with me when I said basically that same thing but what does he know. He isn’t inside my head. Which we can all agree is a a good thing. I like it when I’m not traveling the world with my own private raincloud and have no umbrella available. But the truth is, that happens to me and more often than I’d like. And now that I’m a grown-up, I realize that most likely both my parents have the same experience. Last week, my friend Johanna Harness shared a photo on her Facebook page. As near as I can tell, it was generated by Kirstylee Memes but also may be connected to the website, Dancey Pants Disco. My apologies ladies, I don’t know who to credit for this work. In either case, it spoke to me. I saw this photo and I immediately remembered one of the most happy memories of my childhood. It was the 4th of July and for some reason, my parents and my older sister and I had a picnic down at the creek. It’s a long walk from the house to the creek and I’m pretty sure our RadioFlyer wagon was put to use for the event. I remember the creek was high and making that beautiful song of creek water. And that the hot dogs got a bit of a singe to them. And that my dad, who has a huge smile, smiled nearly as much that day as my mom. It was sunny and the sky was so blue, and the leaves of the old tree on the banks of the creek were bright green and gently blowing in the wind. I love the few memories I have of my parents being happy together when I was a kid. A roasted hotdog tastes like that moment. Smiles and childhood and a bright blue sky of possibilities. I hope my children will have memories of being happy and of my being happy at the same time. May they remember my smile more than my sadness. 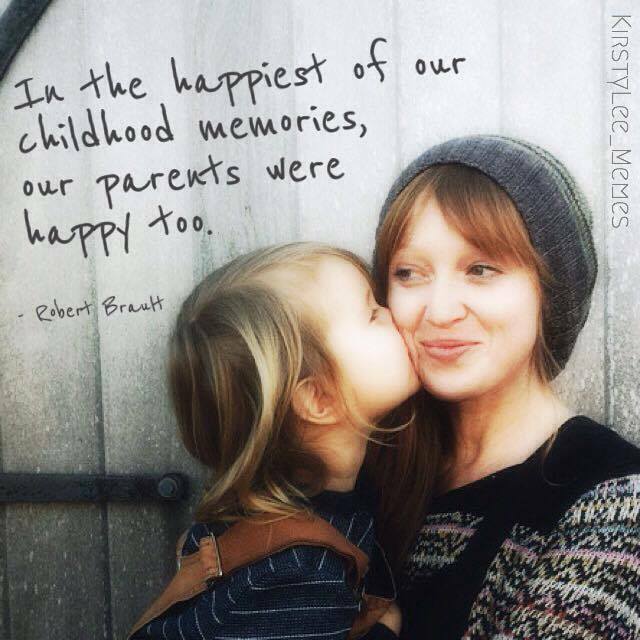 This entry was posted in family, Front Page, living with depression, parenting and tagged family, living with depression, memories by kristina. Bookmark the permalink.